The Supreme Court has overturned the death sentence of Zainab Jalalian giving her life in prison on Moharebeh charges (enmity against God). 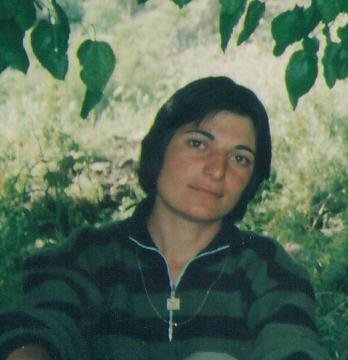 Zainab Jalalian was sentenced to death November 2009 on charges of affiliation with the banned Kurdish group PJAK. Twenty seven year old Jalalian was incarcerated in the Intelligence Ministry’s solitary confinement for four months after she was arrested. During her stay in solitary confinement Jalalian was under heavy pressure and torture and suffered head injury due to torture. After she had already been sentenced and her case was in Appeals Court, In an illegal move, she was once again incarcerated in solitary confinement for three months. In protest, Jalalian then went on a hunger strike. Zainab Jalalian was transferred from Kermanshah prison to Ward 209 of Evin prison in February of 2009. There was no apparent reason for her transfer and Zainab also was not informed of the reason why she was transferred. Zainab filed a complaint, protesting that her detention in ward 209 (Under control of the Intelligence Ministry) was illegal, given that her interrogations were completed and she should have been moved to the general ward. Zainab was under pressure and torture in Ward 209 by the Intelligence Ministry’s agents to give an on- camera false confession which she refused. The Intelligence Ministry’s agents were promising Zainab to overturn her death sentence if she agreed to give a false confession and TV interview. 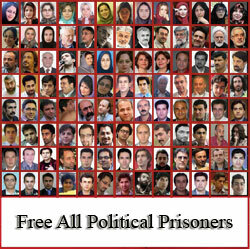 Pressures on Zaeinab intensified after five political prisoners were executed in April of 2009. After being incarcerated in Ward 209 for five months, and after having a meeting with Tehran Public Prosecutor, Jalalian was transferred back to Kermanshah prison where she is currently incarcerated. This entry was posted on Friday, December 16th, 2011 at 2:18 pm	and posted in Human Rights. You can follow any responses to this entry through the RSS 2.0 feed. Ahh….!! Thank God, what a relief!! I was so convinced that God is not a socialist.